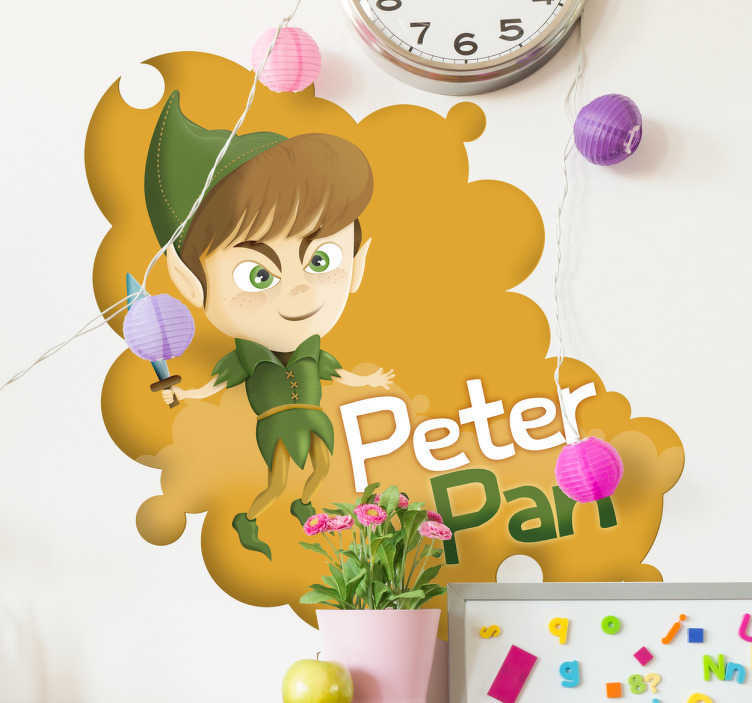 If you are a huge fan of the childhood classic Peter Pan then this vinyl wall decal from our collection of Peter Pan wall stickers is for you! This Peter Pan design is suitable to decorate all spaces with smooth surfaces. Made from high quality vinyl and easy to install. It leaves no residue upon removal.